Bored of childish video games? Yes? Let’s find something interesting and exciting for you. The ones which provide you the best experience of playing your best soccer games. 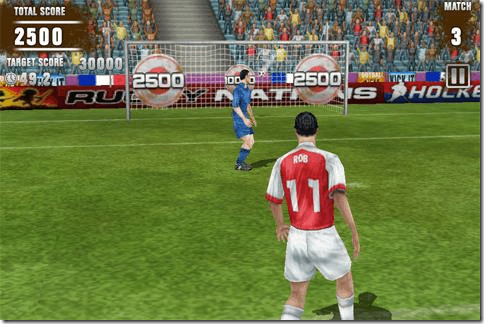 Here we have Best Soccer Games for Android for the Updated October 2017. The games are totally the top most rated games with such a great development,skills and graphics those will really attract you. You must try this to explore most out of it. Amazing addition to football games, and real addiction for soccer lovers. It’s a free to play game but in game items need to be purchased. – Hero B can be earned through watching different videos or through game-play. – Mobile data and WiFi operated. – This app contains Third party advertisement. To avoid ads you have to purchase in game currency from shop. It’s a game with amazing physics. It’s a soccer game with veneers, with good graphics and can also be played online. Shots can be played with precision and accuracy. Impact can also be added. Ball can be choose for different scenarios. Level of difficulty can be changed. One can play World championship. Offline mood for challenging AI. Have Arcade system with amazing graphics. It has fun effects for lovers of retro aesthetics. Face off in different conditions. Time and speed of the match is customized. One can choose their best team. Clean and challenging game play. The one of the best version of football games who just blown out the sales with the latest edition of the “Pro”. You can play local leagues with your friends and even championships. It’s a football game with retro aesthetics. Specific number of goals is required in specified time period. Level of difficulty raised by time. Training for striker’s core skills. Plays against the best team of the world. One of the king of soccer games. It’s perfectly optimized to play your football game on your tablets or phones. It has options of more than 30 leagues. Bigger and better than before. 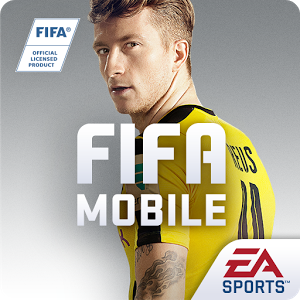 FIFA Mobile make soccer more exciting games as ever before. Manage your own team make it more realistic. This game is built exclusively for mobile users. In our compilation it is one of the best soccer games. With great Graphics Quality, it’s fluidity of movement making it on top of the games list. You can save your favorite players, even sharing with your patterns option is also available. WhatsApp v 2.17.397 Apk Beta with new emojis added.